Earlier this week, the Indian Union Communications and IT Minister Kapil Sibal asked Internet giants such as Facebook, Google and Yahoo to pre-screen derogatory, defamatory and inflammatory content about political leaders and religion. Mr. Sibal suggested that the content uploaded by over 100 million Internet users in India be pre-screened and stopped from going live if found objectionable. And by ‘screening’ the minister meant manual screening and not screening by technology. First it was bad enough that the government should even try to control people’s voices on the Internet, then to suggest that content uploaded every second by over 100 million users could be screened by humans and not technology – Mr Sibal should have known that he was going to face a huge backlash over his move. Indian Union Communications and IT Minister Kapil Sibal. Image from Flickr by World Economic Forum (CC BY-SA). I urge you to write KAPIL SIBAL IS AN IDIOT as your Facebook status message, use the hashtag #IdiotKapilSibal on Twitter, and write a blog post with the above title, because there may soon be a day when he may prevent you from doing so. What followed was a wave of insult, ridicule and sarcasm thrown at Mr Sibal by hundreds and thousands of Internet users in India, including celebrity politicians, film personalities, popular bloggers, authors and millions of ordinary users. Initially Indian social media users on Facebook, Twitter and Google Plus were angry at the government’s attempt to control their freedom of expression but they soon channelized that anger into humour and sarcasm. Meme's like this was created. Within a day, a Facebook page with that slogan got over 400 likes. Hundreds of blog posts and thousands of tweets have been floated. Creative social media users have gone a step ahead and created many humorous images, videos and jokes. The point is that you don’t need to police the Indian Youth. Self-policing or self-regulation is already working well. For eg on facebook, when someone posts a abusive content related to some god, then people immediately starts reporting it as abuse and if facebook finds it offensive it removes it as soon as possible. So this self-regulation is already existing which is enough. A right to ‘self regulation’ and the freedom to chose our own definition of ‘objectionable content’ and then decide when and how to respond to what we think is objectionable, whether to complaint or ignore – has been a common opinion amongst all the reactions that have come from various net users. As ordinary users, what do we do when we find something objectionable on Facebook, Twitter or anywhere on the Internet! We report it to the platform provider. Most popular platform providers have such mechanisms. People have all the freedom to feel offended but they don’t have the right to regulate others from saying what they want to say. Their freedom to get offended ends where others’ freedom of expression begins. Period. Another common reaction is to compare this incident to the level of freedom of speech and expressions or the lack of it in our neighbouring countries like Pakistan and China. People are angry and ashamed that an Indian politician attempted to tarnish the image of the democratic India that the youth is presumably so proud of. Politicians have no shame, they say, but people do. To me it is shameful that a leader of my country made such a mockery of free speech and attempted to bully organizations into censorship, so the name of my country has that tarnish associated with it. Blogger Bharat C Jain like many others points towards the political undertone to a matter that otherwise appears an information technology subject, and says that such pre-screening would have been acceptable had it only been for national security. Sibal's directive would have been alright if it were directed in the context of our national interest and the country's security – like anything anti-national and spreading of hate content. Kapil Sibal may be an idiot — or not — but more importantly, he represents the feudal mentality of the broader political class, which is in turn enabled by the multinational companies — all in the guise of protecting our cultural sensibilities. CIS has carried out an undercover investigation into the “chilling effects” of new information technology laws on freedom of expression online, with six out of seven major websites removing innocent content online without proper investigation, creating a “private censorship regime”. This is not the first time that the Indian Government has tried to control free speech on Internet, back in 2006 a number of BlogSpot sites were blocked by a Government order leading to a fury amongst the bloggers. 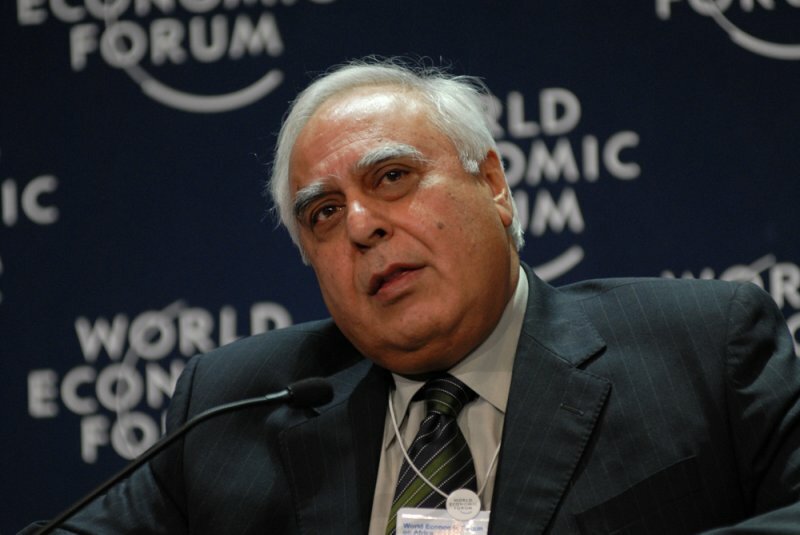 The present move by Mr Sibal has put the focus back on several such attempts by the Government on a regular basis. Google has received government requests for removal of 358 items from its services, including YouTube and Orkut, during the January-June period, according to a report by the internet search giant. As many as 255 item removal requests cited the government criticism as the reason, said the Google Transparency Report. The government had asked Google to remove 236 items from Orkut and 19 items from YouTube for the same reason, it added. While nobody can possibly deny that any attempt to censor innocent free speech is unacceptable, some citizens have objected, and rightly so, to the way social media users reacted. If a certain move by the Government is unacceptable the citizens must raise their voices against it, but the voices should be civilized, ethical, logical and rational even when the medium is internet. If social media voices and citizen journalism is to be taken seriously the users must show the same maturity and responsibility as traditional media players and professional journalists. Do I agree with Kapil Sibal? Of course not. Pre-screen is neither possible, nor desirable. But I’m willing to bet that Kapil Sibal already knew both those things. My point is, saying we should oppose this is not the same as saying Kapil Sibal is an idiot. As the matter would eventually subside what would remain a valid concern is in this largest democracy of the world, how do we create a balance between what is ‘our offence versus what is their offence’, the rights of minorities versus might of majority, the rights versus the responsibilities and the last but not the least, the unapologetic mob mentality of the online citizen journalists versus the controlled mainstream media reporting.